Mount Athos, otherwise known as Holy Mountain in Halkidiki Greece, is a unique male monastic community that comprises of 20 imposing monasteries. This amazing mountain is famous for its natural beauty and also for the fact that it has been out of bounds to all women for more than 1000 years. The reason of the prohibition of entry for women can be traced back to the Orthodox belief that Mount Athos was consecrated as the garden of the Mother of God. 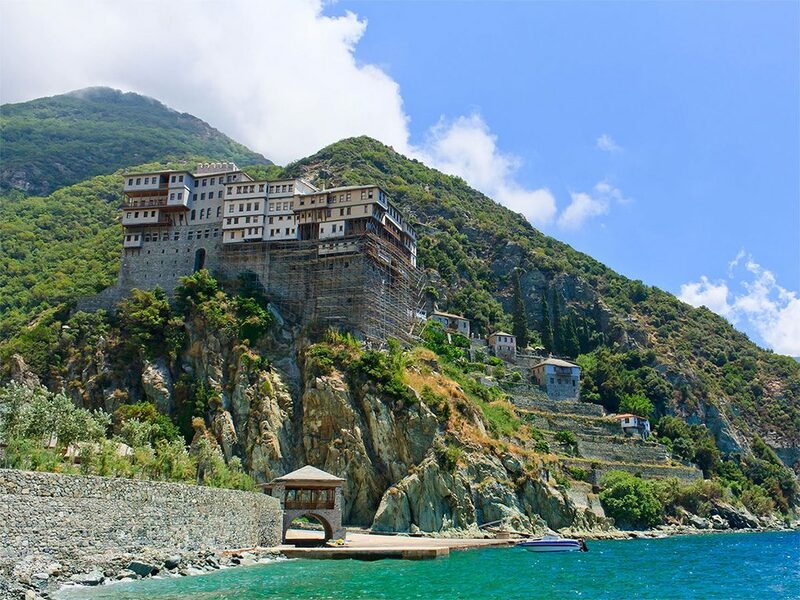 Mount Athos is a self- governed division of the Greek state. 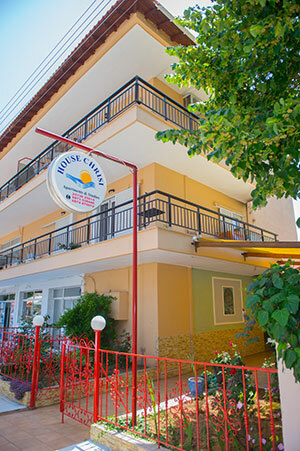 Politically it comes under the Ministry of Foreign Affairs but religiously it comes under the Ecumenical Patriarch of Constantinople.It has been divided into twenty self- governed territories. Each territory consists of a leading monastery and some other monastic settlements around it (hermitages, cells, huts, seats). All the monasteries are communes, which means that the monks have a common liturgy, prayer, housing, board and work. 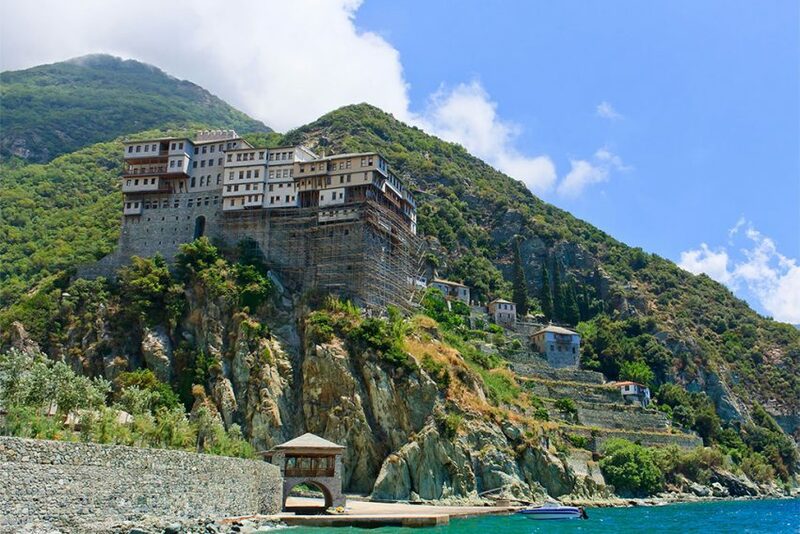 Any visitor who wishes to visit Mount Athos must first get in touch with the Pilgrim Bureau in Thessaloniki or Ouranoupoli, Halkidiki in order to obtain the Diamoneterion (visitation permit) which is valid for four calendar days. A maximum of 120 Orthodox Christian visitors are allowed per day, whereas foreigners of other religious affiliations are limited to 14 per day. These limits do not include persons that have explicit invitations from the monasteries.